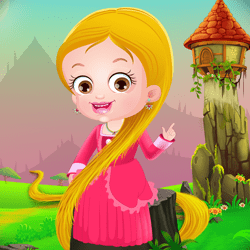 Baby Hazel Snow White Mini Games	How to Play? 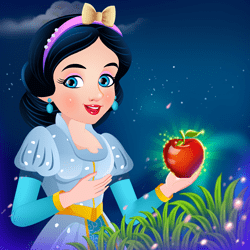 Enjoy playing different types of Snow White mini games packed with fun and adventure! Come along to enjoy tons of fun games including Puzzle, Hidden, Word Games, Spot The Difference, and many more! Game 1: Hidden Objects Explore the objects hidden in Snow White’s enchanting world. Use the magnifying glass to reveal hidden secrets. So are you up for this challenge? How to Play: Use the magnifying glass and move around the screen to find the hidden object. Double tap on the hidden object. Game 2: Scrabble How well do you know Snow White story? Test your knowledge by playing this fun word game. Complete all the levels to have fun! How to Play: Tap letters on the right panel to make the correct word. Game 3: Word Search game text Welcome to Snow White word search game. Words from this beautiful fairy tale are hidden in the letters grid. Can you find them? How to Play: Select and drag all the words hidden in the grid. Game 4: Sliding Puzzle Welcome to Snow White Sliding Picture Puzzle. Move the pieces to their correct location to find a beautiful scene from Snow White fairy tale. Be quick as you don't want to run out of time! How to Play: Slide the pieces around and fix it at its right spot to form a complete picture. Game 5: Spot the Difference Can you spot the differences in these beautiful pictures? How to Play: Spot and tap on the differences that you find.